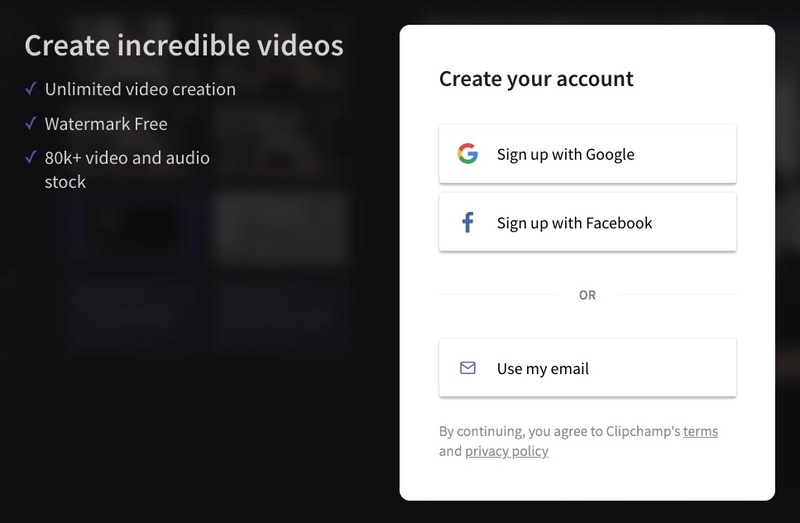 To sign up and start using our free video editor, visit clipchamp.com/en/create and click the sign up button in the top right of the page. A page will appear where you can Create an account. You can sign up by using your Google or Facebook account. 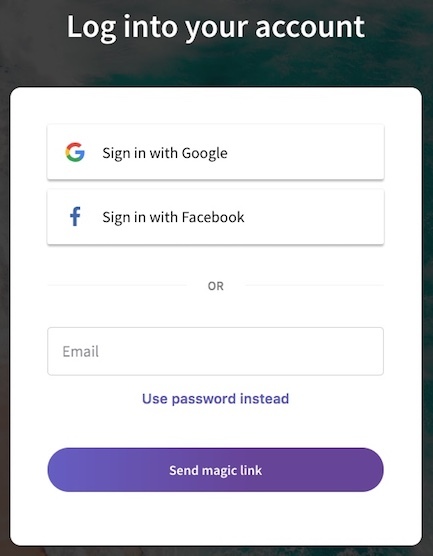 If you sign up with Email, a magic link will be sent to your address that you then use to login. 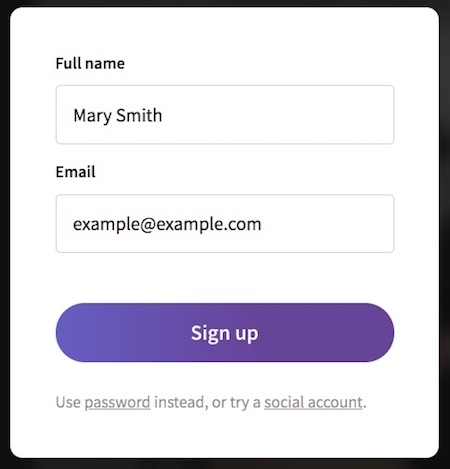 You can also click "Use password instead" at the bottom to create an account with an email and password. Once you've logged in, you will be on your Create Projects Page. This is where your projects will appear when you create them. To start editing, click the Start new project button in the top right. To find out how to get to work editing your videos, check our how to edit a video help article. It provides quick tips and images that guide you through Create's editing features and how to use them. If you already have a Clipchamp account, you can sign in using your current login details. You can use the same login for both the Create and Utilities products. How does the "Magic Link" login option work?